TWU Local 100 Administrative Vice President Angel Giboyeaux has announced his retirement after a distingusied career as union activist and elected officer. A New Yorker born and bred, Angel grew up on Manhattan’s Lower East Side, the son of factory workers who came to America from Puerto Rico. He attended New York City public schools and entered the printing profession, working in the trade for nine years as a member of Teamsters Local 875. While working as a printer he married his wife, Elizabeth, with whom he has two daughters, Elizabeth and Iris Myra. He was hired as a Bus Operator at Liberty Lines in Westchester in 1990. At Liberty he was a picket captain during the 2001 strike that led to significant raises for workers as well during the 2005 strike. In that strike, he along with other picketers, was arrested by State Police for blocking the company’s Valhalla, NY entrance. Those strikes, he says, gave him a sense of union power and what is possible when unity is maintained in the shop and on the lines. 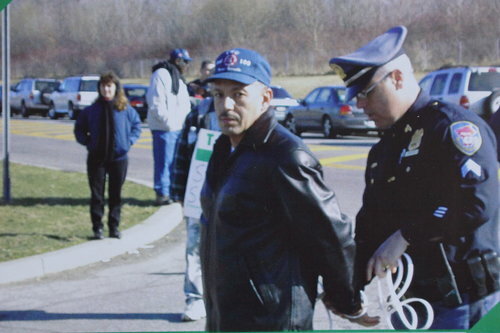 In 2006, Angel was elected to Local 100’s Executive Board. At Liberty, he was also elected President of the Latin Society United, a fraternal organization. In the 2009 union wide elections, he was elected Administrative Vice President on President John Samuelsen’s ticket. He was overwhelmingly reelected in both 2012 and 2015. 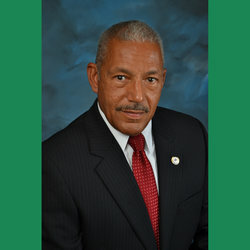 He played a key role in negotiating a new four-year contract for members of Liberty Lines in Westchester in 2012, which achieved significant raises over the term of the agreement. The contract preserved the company’s pension retirement at 20 years of service by age 59. On May 17 of 2014, Angel played a pivotal role in finalizing negotiations with the owner of Mile Square School Bus just hours before hundreds of members were ready to go on strike. The agreement brought significant raises in every year and additional pay differentials to members. He also spearheaded the successful negotiations for a successor agreement at Liberty Lines earlier this year. In 2011, he became the Union’s point person for green jobs, working with the staff at the Union’s Training Upgrade Fund (TUF) to negotiate union-only training courses in fiber optic technology, solar panel installation and maintenance, and EPA certified refrigerant handling.